Yankee-Yorkers began settling the Milwaukee metropolitan area in the mid-1830s. These Protestant, English-speaking, and highly mobile pioneers, mainly of British descent, hailed from New England, New York, Pennsylvania, and other Mid-Atlantic states. Following completion of the Erie Canal’s western terminus, Yankee-Yorker migrants inundated the midwestern frontier, including Milwaukee, in search of open land to speculate on and farm for commercial purposes. Many used their reasonable wealth, good credit, and business acumen to build sizable farmsteads dedicated to the cultivation of wheat. Others of lesser means cleared the area’s surrounding woodlands before selling out, often to European immigrants, to establish mechanized farms on the open prairie. As wheat farming declined in Southern Wisconsin during the second half of the nineteenth century, Yankee-Yorker agriculturalists welcomed transportation improvements that enabled them to move deeper into the western interior. Milwaukee’s remaining Yankee-Yorkers, many of whom were skilled businesspersons, found positions in government, industry, and civic life well into the 1900s. They contributed to Milwaukee’s social, political, and economic development. This included town promoters BYRON KILBOURN and GEORGE WALKER; meat packer John Plankinton; steam engine manufacturer Edward P. Allis; transportation mogul HENRY CLAY PAYNE; newspaperman Rufus King. In the political arena, seventeen of Milwaukee’s first twenty-four mayors (1846-1890) identified as Yankee-Yorkers. During the nineteenth century, Yankee-Yorkers settled a neighborhood on the city’s East Side called Yankee Hill. Its boundaries included what are now Juneau Avenue and Wisconsin Avenue (north to south) and Broadway Avenue and Lake Michigan (west to east). 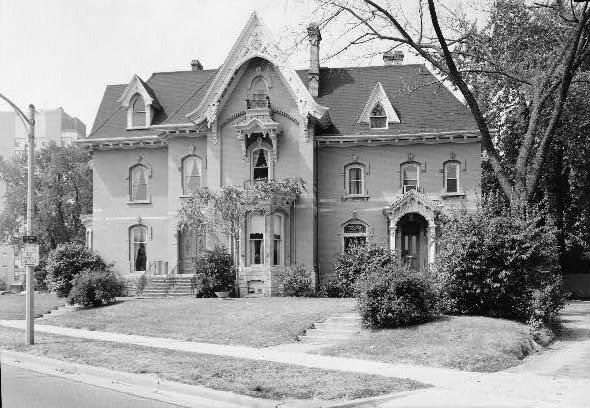 In the early twentieth century, this community expanded north into what was then the 18th ward and, later, into North Shore suburban communities like SHOREWOOD, WHITEFISH BAY, and FOX POINT. Organized religion has long played an important role among Yankee-Yorkers, providing community stability and various forums for civic engagement. For instance, Milwaukee’s First Congregational and First Presbyterian Churches used their sacred spaces to denounce slavery and debate other social concerns in the mid-1840s. Milwaukee’s oldest Episcopal parish was established in 1838 and dedicated as St. Paul’s Episcopal Church in 1844. The Episcopal Church’s first missionary bishop, David Jackson Kemper, established WAUKESHA COUNTY’s Nashotah House as a missionary school in 1842 while overseeing the Church’s Midwestern development. In addition, Bishops William Armitage and Edward Welles helped establish one of the nation’s first Episcopal Cathedrals in Yankee Hill, the Cathedral Church of All Saints, in the late nineteenth century. Other Episcopal Yankee-Yorker churches, like St. James Episcopal Church, housed parochial schools. The Episcopal church has also published a serialized magazine in Milwaukee since 1899, The Living Church. The publication advocates Anglo-Catholic ideas and traditions pioneered in Wisconsin. ^ Bayrd Still, Milwaukee: The History of a City (Madison, WI: The State Historical Society of Wisconsin, 1948), 70-72. ^ Gurda, The Making of Milwaukee, Third Edition (Milwaukee: The Milwaukee County Historical Society, 2008), 25. ^ Joseph Schafer, “The Yankee and the Teuton in Wisconsin,” The Wisconsin Magazine of History 6 (2) (December 1922): 135. ^ Joseph Schafer, “The Yankee and the Teuton in Wisconsin,” 136. ^ Robert P. Swierenga, “The Settlement of the Old Northwest: Ethnic Pluralism in a Featureless Plain,” Journal of the Early Republic 9 (Spring 1989): 93. ^ Gurda, The Making of Milwaukee, 66; “Milwaukee Mayors,” Milwaukee County, Online Genealogy and Family History Library, accessed October 19, 2013. ^ Gurda, The Making of Milwaukee, 137. ^ Roger D. Simon, The City-Building Process: Housing and Services in New Milwaukee Neighborhoods, 1880-1910 (Philadelphia, PA: American Philosophical Society, 1996), 110. ^ City of Milwaukee, “Historic Preservation Study Report, Grand Avenue Congregational Church,” accessed February 17, 2014. ^ “St. Paul’s Seventy-Fifth Anniversary,” The Milwaukee Free Press, January 19, 1913, 3; Bobby Tanzilo, “A Guide to Milwaukee’s Architectural Landmarks,” OnMilwaukee.com, accessed November 4, 2013. ^ Reeves, “The Anglo-Catholic Movement in Wisconsin,” 191-193. ^ Reeves, “The Anglo-Catholic Movement in Wisconsin,” 195. ^ The Milwaukee Free Press, “St. James Church Plans Elaborate Diamond Jubilee,” The Milwaukee Free Press, November 6, 1910, 4. ^ Thomas C. Reeves, “The Anglo-Catholic Movement in Wisconsin,” The Wisconsin Historical Review 68 (3) (Spring 1985): 188. Bruce, William George. “Old Milwaukee’s Yankee Hill.” The Wisconsin Magazine of History 30, no. 3 (March 1947): 289-291. Gurda, John. The Making of Milwaukee. 3rd edition. Milwaukee: Milwaukee County Historical Society, 2008. Reeves, Thomas C. “The Anglo-Catholic Movement in Wisconsin.” The Wisconsin Historical Review 68, no. 3 (Spring 1985): 188-198. Schafer, Joseph. “The Yankee and the Teuton in Wisconsin.” Wisconsin Magazine of History 6, no. 2 (December 1922): 125-145. Simon, Roger D. The City-Building Process: Housing and Services in New Milwaukee Neighborhoods, 1880-1910. Philadelphia, PA: American Philosophical Society, 1996. Still, Bayrd. Milwaukee: The History of a City. Madison, WI: The State Historical Society of Wisconsin, 1948. Swierenga, Robert P. “The Settlement of the Old Northwest: Ethnic Pluralism in a Featureless Plain.” Journal of the Early Republic 9 (Spring 1989): 73-105.